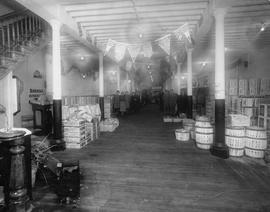 Item is a photograph of employees inside the Wright Fruit Company building. 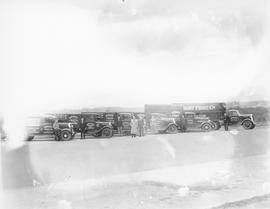 Item is a photograph of a fleet of Wright Fruit Company trucks and drivers. 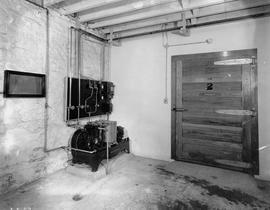 Item is a photograph of a cooling machine outside the door to a cooling compartment at the Wright Fruit Company storage facility. 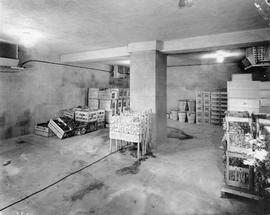 Item is a photograph of a Wright Fruit Company storage facility. 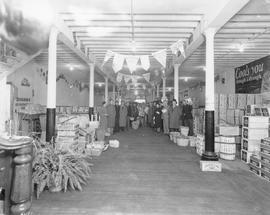 Item is a photograph of workers inside the Wright Fruit Company storage facility displaying bananas. 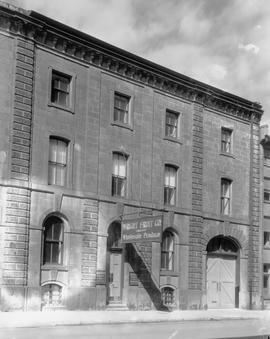 Item is a photograph of the exterior of the Wright Fruit Company building at 25 York Street. 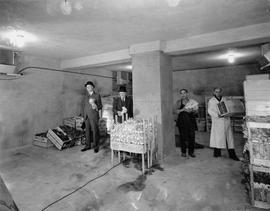 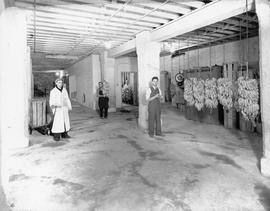 Item is a photograph of Wright Fruit Company workers in a fruit storage facility. 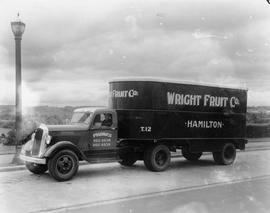 Item is a photograph of a Wright Fruit Company truck and driver. 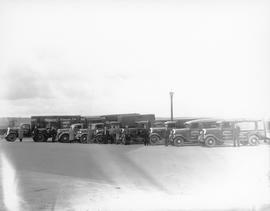 Item is a photograph of a fleet of trucks belonging to the Wright Fruit Company and eight employees standing beside them. 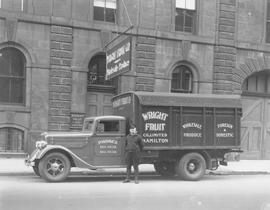 Item is a photograph of a driver and truck of Wright Fruit Co. Limited stationed outside the entrance to the building. 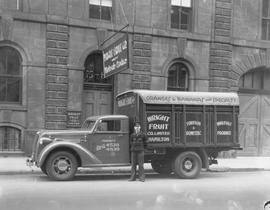 Item is a photograph of a Wright Fruit Company truck and driver in front of the company building.